You might disagree with my first statement but admit it, when you visit Backyard Burgers, you’ll remember this and agree with me! You know how we love speaking in our dialect, it’s easy, more comfortable and we can express ourselves more, right? 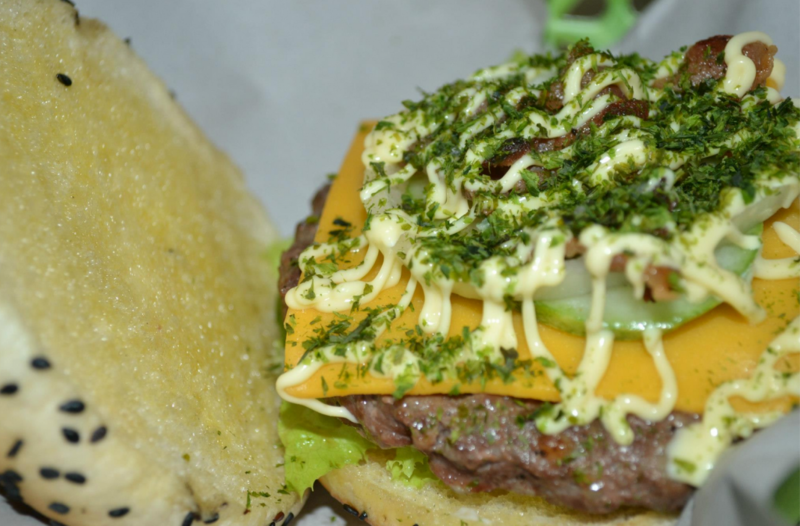 Have a taste of BB Japanese Burger, it’s tasty, meaty and with the first bite, the cheddar cheese even bursts inside your mouth and it just blows your mind that when you look around everything seems to move in slow motion like “whooaaa!”. One of the unforgettable flavours that will truly stick in your mind is the taste of slice bacon with home-made wasabi-mayo sauce, you might find yourself speaking in tongues. This experience will make you want more of it, but it is much and far better when you eat it with your family and friends, and together you can all be stumped from its flavourful aftertaste! Form a new bonding session by making it a point to eat at Backyard Burgers main branch near SM City Davao and Backyard Burgers Central located in Quirino, Davao City. So hurry now and get a tasty, mind blowing bonding experience when you eat BB Japanese Burger.